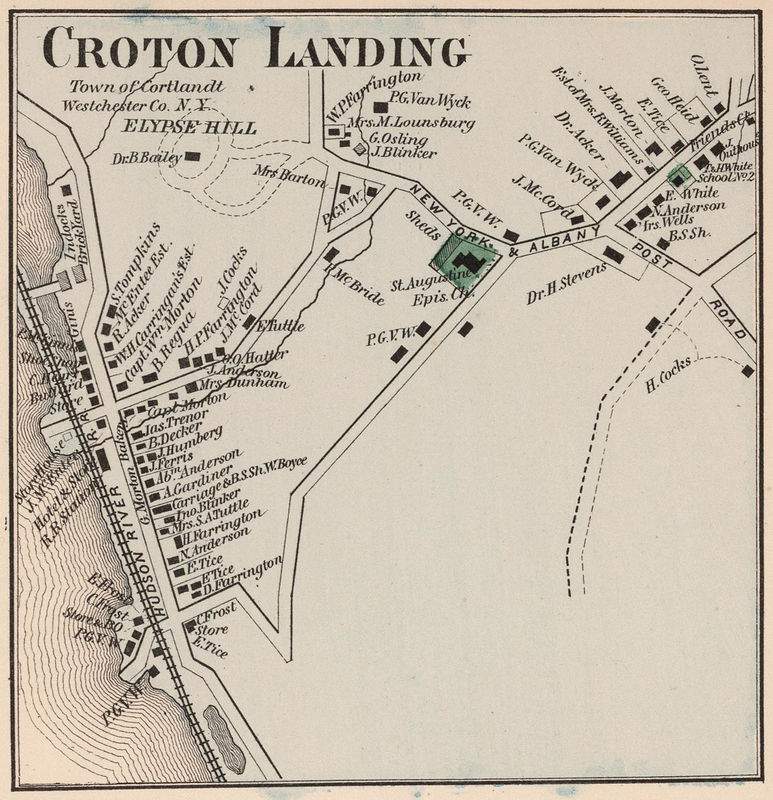 Croton Landing from plate 44 of the County Atlas Of Westchester New York, published by J.B. Beers & Co., 1872. Here is a detailed map of what Croton looked like in 1872. Known then as Croton Landing, the village consisted mainly of houses and businesses along what we know today as Grand Street, Brook Street, and Riverside Avenue. If you look at the top left side you can see that Riverside Avenue got its name because it did once run right along the side of the Hudson River. That area to the right of the railroad tracks was filled in long ago, altering the original banks of the river. The pond-like area at the bottom left between the tracks and Riverside was also filled in. The house labeled “Mrs. Barton” in the triangular area bounded by Old Post North, Brook Street, and Terrace Place still exists today and is said to be the oldest house in Croton. The entire map and the rest of this 1872 Westchester County atlas can be seen at the David Rumsey Map Collection. Previous Post Rum-running Submarines off Croton Point?